I was fortunate enough when out shopping this week to stumble across a new release historical fiction by Australian author Posie Graeme-Evans. 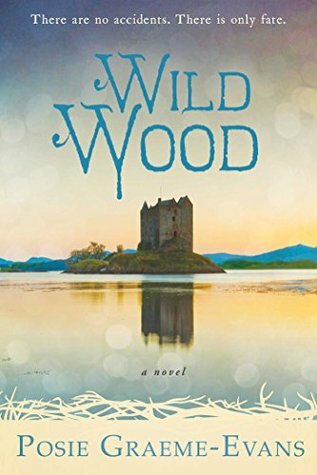 Wild Wood is a story written from multiple viewpoints, and over two time periods. There are no accidents. There is only fate. Australian woman Jesse Marley is in London in 1981, at the height of England’s celebrations for the upcoming marriage between Prince Charles and Lady Diana Spencer. A month earlier, her world had been turned upside down by the discovery that she was adopted. With her emotions running high, she steps into the path of a motorcycle. Pretending she is fine, she bumbles her way into an old church and comes across a waitress named Alicia Donne, who arranges for a doctor friend, Rory Brandon, to help Jesse find treatment for her injuries. Fate has conspired to bring these three together and they must all deal with the repercussions of Jesse’s head injuries which unlock the secrets to her own past, and Alicia and Rory’s as well. The past bleeds into the present. In 1321, in the borderlands between England and Scotland, the Norman stronghold of Hundredfield is owned by Bayard Dieudonné’s older brother Godefroi who has taken a new wife. Flore cannot speak and is pregnant with the heir to Hundredfield. The local people identify her as a witch, and Hundredfield comes under attack. Bayard must defend his family and protect a strange secret that will change the course of his life. At first I had difficulty in understanding how the two timelines would come together. The fourteenth century storyline was such a contrast to the more modern timeline, but by breaking it up it kept the interest level high. I normally struggle with books written in multiple viewpoints, but I didn’t have any difficulty in working out who was speaking, acting, or thinking here; I believe it added to the overall story. My only complaint is that Alicia, Rory and Jesse weren’t developed enough as characters. I had difficulty in understanding Alicia’s mindset until closer to the end and I could never quite understand Rory’s. His stuffy nature was explained away as a result of his past, but that didn’t satisfy my curious mind. I did, however, feel quite sorry for him by the end. Jesse was a very emotional character, and I can’t say I clicked with her. Mack was by far my favourite, the perfect gentlemen. The characterisation in 1321 was exceptional. Bayard was the perfect choice as the protagonist in that period and The imagery in this novel was very well done. I could see, smell and almost feel Hundredfield. This was a lovely read and I recommend it to all lovers of historical fiction. 4 Stars.